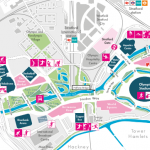 The southern section of the Queen Elizabeth Olympic Park opens on 5 April. Much of the northern section is already open. I’m considering organising an OpenStreetMap mapping party (likely using Walking Papers as a basemap for people) to map the park in its new, legacy mode. 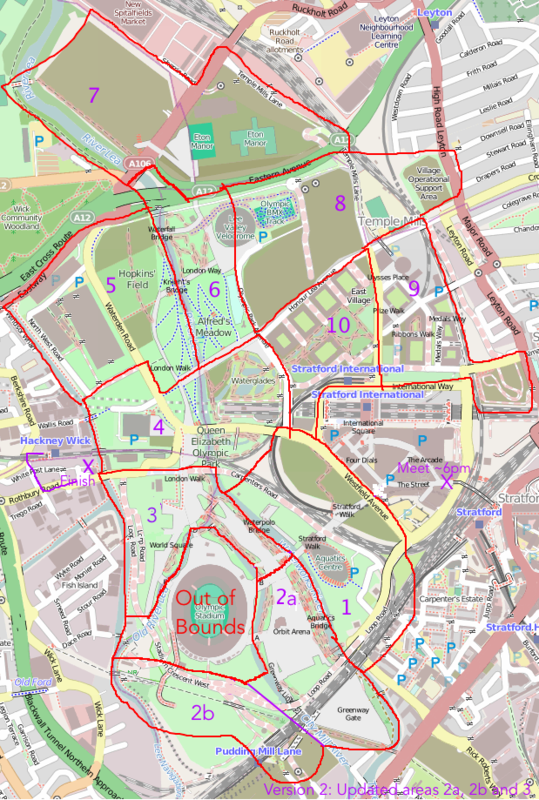 Currently, much of the area is shown on OpenStreetMap as it was during London 2012, or as out-of-bounds. The date is the evening of Wednesday 9 April from 6pm until dark (7:30pm?) followed by beers in The Crate pub. People can then add their discovered detail into the map in their own time or (if they are really keen and bring a laptop/dongle) at the pub. Post-event pub will be The Crate pub in Hackney Wick, which is right beside an exit to the park, and is a nice pub and brewery that does great pizzas and serves some great beers brewed on site and also Dalston Cola, made just down the street by my bro. It’s a more relaxing experience than the pubs at Westfield. Stratford is easiest to get to by tube so meeting at Westfield (ground level – that’s UP from the station exit level) at the Westfield end of the big iron bridge that goes over the station, would be the best location. I am planning on setting out from there shortly after 6pm, and then meeting people at The Crate pub (which is at the other side of the park) at 7:30-8pm. The Crate pub is near Hackney Wick station for those who don’t want to walk back across the park afterwards. The idea is that everyone picks a slice of this cake – if we get more than 10 people, then we can double-up in the complex central sections, and if we get fewer, then we can concentrate mainly on the central area. 1. Eastern part will still be a building site but plenty of detail to be both added and removed elsewhere. 2. 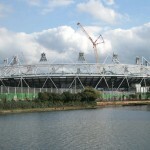 The southern half of the new South that will be newly opened, includes the Orbit and associated buildings. If time then it’s worth progressing to section 2b – unclear how much of this is open but there are a couple of new links here. The Greenway Gate area may still be inaccessible. 3. Northern half of the new South Park, including the Great British Garden on the other side of the stadium. Lots of natural detail to be added. 4. Not sure if the Waterglades will be open – but if not, some other new detail to add here. 5. May still be under construction in places but definitely some changes from what’s on the map – even simply things like bus stops. 6. The north park is already open but could do with a lot more detail, e.g. 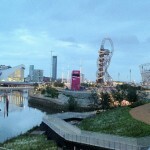 the Olympic Rings sculpture, vegetation, and link path to the north. 7. Quite far away and mostly will still be a construction site. Good for someone on a bike. 8. May not be too much to see here as under construction and/or fenced off for the cycling. 9. This part of East Village is partially open and lots of residential detail can be added in. 10. This part of the East Village is mainly closed but some bits, e.g. the park bit, are open. I will aim to print Walking Papers maps for each of the slices and bring them to the pub. I’ve added this to the London wiki and Lanyrd. If it’s raining cats-and-dogs on the day we can just go to the pub. We held a similar mapping party back in late 2011, to map Westfield Stratford City. We based the party at the Cow pub on the edge of the shopping centre. Here’s a neat video that Derick created, showing the map evolving as people added to it, following the party. A successful event I would say! Thanks to you and Dan for organising.